Again, it mentions in the chapter that many recipes call for oven temperatures of 325 or 375, but that results are much more tender ta 250 (hat nod to Chapter 1). The actual chicken in the covered pot DID retain a bit more moisture. Chapter 7 explained how collagen-high foods need to be slowly cooked at a low temperatures for a long time to convert the dense collagen into juicy delicious gelatin. Well, Chapter 10 is all about how bones add juiciness and flavor. In big part that is because 40% of bone is collagen. In addition, bones are lined with fat. And we all know that fat = flavor. Cook's Illustrated formed two "loaves" of plain mashed potatoes. The other mashed potato loaf they kept plain. In a blind taste test, tasters claimed that the mashed potatoes cooked with the bones on top tasted noticeably "meatier"
We haven't eaten a lot of fish lately, so I chose the salmon en cocotte with white wine sauce. I'll give you a warning right now that my end dish doesn't look that beautiful. But I had to take a shot for proof that I made it through the recipe. 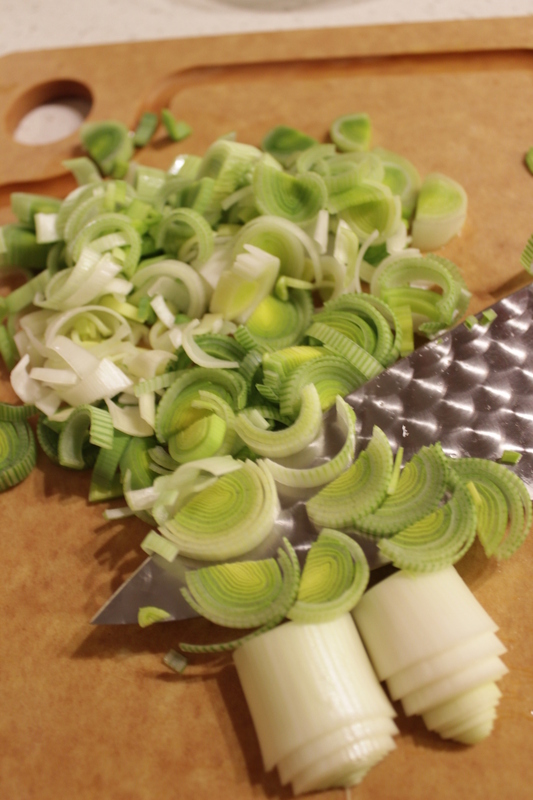 This dish also marks my first time using leeks!! I didn't really know what they were before. I assumed some time of crunchy, leafy root vegetable. 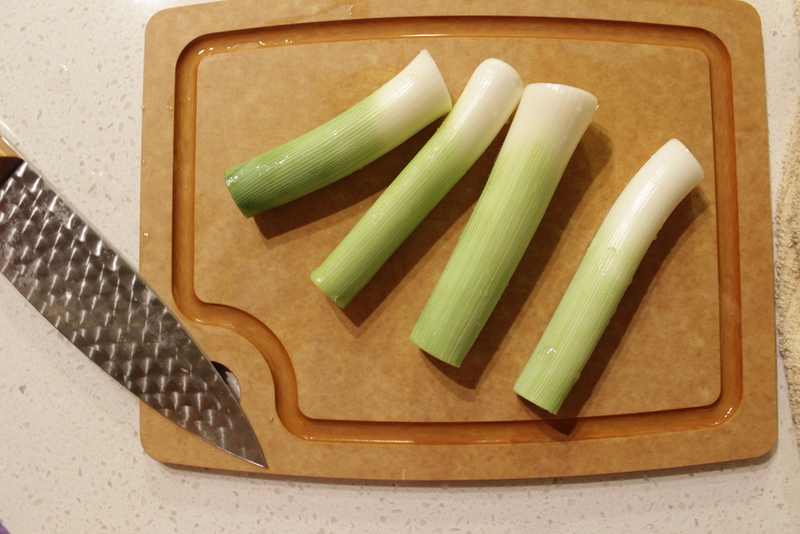 Upon chopping them, I soon realized they must be in the onion family. And they are so pretty with their spirals of ombre color. Overall, this dish was good but I still need to figure out how to prevent that white stuff from forming on my salmon. (maybe brining? which is conveniently covered in next couple chapters..).